Mustard Seed Communities is in the process of establishing a Canonical body, Missionarii Grani Sinatis (Mustard Seed Missionaries) - a "Society of Apostolic Life" - to guide and sustain the spirituality of the organization going into the future. The Formation Center and Program will promote vocations and train future Missionarii Grani Sinatis (MGS) Priests, Deacons, and Sisters to serve MSC throughout the many apostolates and programs across the world. Currently under construction at Jacob’s Ladder in Jamaica, St. Andrew's House of Formation will include accommodations for 12 brothers, conference and training rooms, a library, Chapel, and a rectory. Sisters will reside at My Father’s House in Kingston. The Formation Program will first focus on training men to become Deacons and Priests through four years of academic formation at St. Michael’s Theological College in Kingston, Jamaica. The seminarians remain immersed in the Mustard Seed culture during their training, enabling them to maintain sight of the charism of MSC. 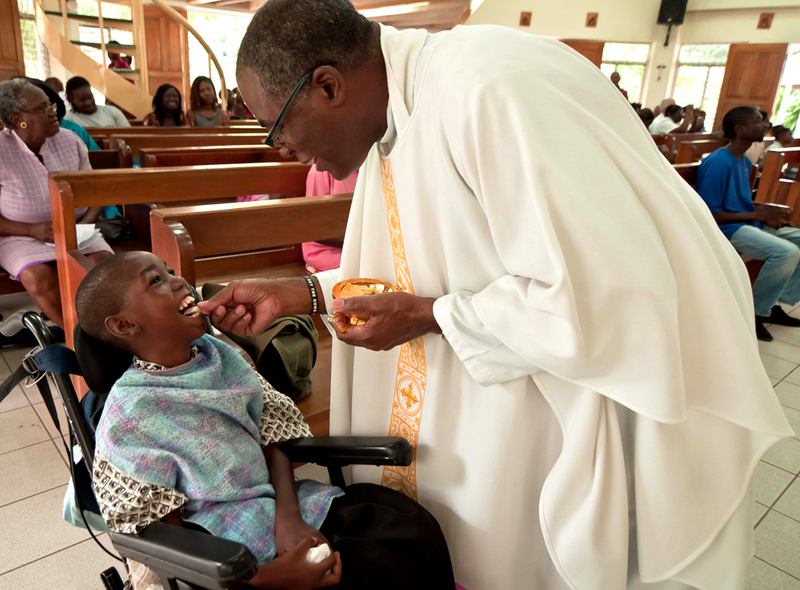 The long-term vision is to have Priests, Deacons and Sisters who will serve throughout Mustard Seed Communities Apostolates and programs across the world, ministering to the spiritual and pastoral well-being of the children, staff, mission volunteers and beneficiaries of outreach programs. The spiritual core of Mustard Seed Communities is vital to the development and survival of the organization and could not be sustained and developed without your support.